SearchReSearch: Answer: You mean.. they explode? As I did this research, the biggest surprise to me was that there are a LOT of plants that explode. Luckily, most of them are reasonably small and gentle. But there are some that can be deadly. 2. More generally, are there other plants that can hurl seeds? You can imagine this might be a handy evolutionary mechanism to have--but again, how would that seed-hurling mechanism actually work? Do they have little plant muscles?? But the fourth hit was an article in a gardening blog that described the entire phenomenon: Examples of plants that disperse seeds by shooting them. 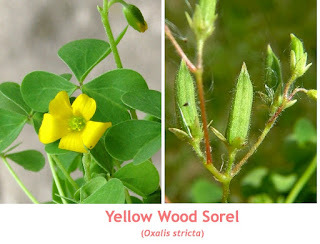 It listed four plant families that had significant ballistichoric seed ejections: Pea family (Fabaceae), Euphorbia (Euphorbiaceae), Acanthus (Acanthaceae) and Mallow (Malvaceae). "In the pea family are “Orchid trees” (Bauhinia spp. ), (which) bear large pods that can fling seeds nearly 50 feet." I didn’t see any plant list for the Waimea Arboretum or Botanic Garden ... and no searches for those places and “dangerous tree” got any hits. But I thought your “dangerous tree” might have been a Bauhinia. devices are thrown many metres away." 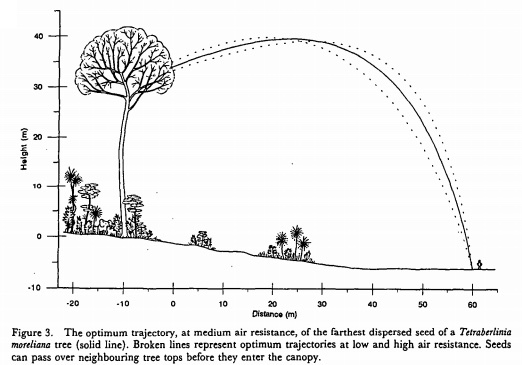 Van Der Burgt’s paper also mentions that the exit velocity for the test tree was 37.1 meters/second … which was less than nature’s fastest. That high speed mark belongs to Hura creptitans, aka Sandbox tree or Dynamite tree, which launched its seeds at 70m/s (157 miles/hour). turned up a host of articles and videos. Among the best is this article from a gardening blog, Sandbox Tree Facts. I found two videos (although none show the H. crepitans seeds exploding on their own without a tap to get them going). 1) Several trees do eject their seeds with an explosive speed of 30-70 meters per second that can send them nearly 200 feet away. One could imagine that it might be hazardous to stand very close to one of the seed pods at the time of its ballistichoric dehiscense. Especially those of the Sandbox/Dynamite Tree, Hura creptitans. 2) Yes, quite a few plants eject their seeds with explosive force. 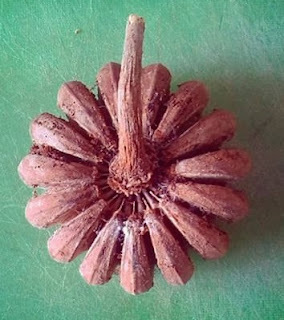 The mechanism (described in more detail above) involves increasing tension within a seed pod as it dries, and explosive ejection of the seeds when the pod eventually ruptures. Finally, after finding all this, I did not look further to identify the grass that I’d had in my backyard. AlmadenMike has it right. The magical words to know here are dehiscense and ballistichoric. Once you start running into technical terms in the middle of your search, its time to start paying attention--especially once you look them up and learn that these concepts are central to what you seek. Similar topic search: Mike started his search by looking for explosive dispersal of seeds, and then learned the word "ballistichory," which then led him to the Bauhinia plant, which led him to the Sandbox Tree, Hura creptitans. which got me to Hura creptitans fairly quickly. Look twenty seconds into this video for the impressive explosion, which would account for the sounds I heard in the arboretum. In any case, my Google Image search led me to a Pictaram image collection of Hura creptitans (who knew such a thing would exist? ), and in that collection, there are a couple images of the Sandbox tree with the hashtags #arboretum and #WaimeaValley. That convinces me that there really is at least one Sandbox tree in the Waimea Arboretum. I will tell you from personal experience that when the conditions are right, touching just one seed pod can cause it to fling seeds every which way, causing a kind of mass seed ejection chain reaction, when thousands of seeds from neighboring seed pods are sent flying after being hit by an errant seed. 1. Search for a parallel that you know about. I really liked AlmadenMike's strategy of searching for something he already knew about (the exploding grass seeds), and then learning what terms he should use in later searches. From an article about exploding grass seeds he picked up the word "ballistichory," and was able to use that term to focus in on ballistichoric tree pods and seeds as well. 3. Sometimes Images are where you'll find the connection. Honestly, I was expecting the Arboretum to have a plant list, or at least an online page highlighting some of their more spectacular plants. But I wasn't able to find that. However, by using Image search I was able to discover at least one person who knew that there is a Sandbox Tree at the Waimea Arboretum. 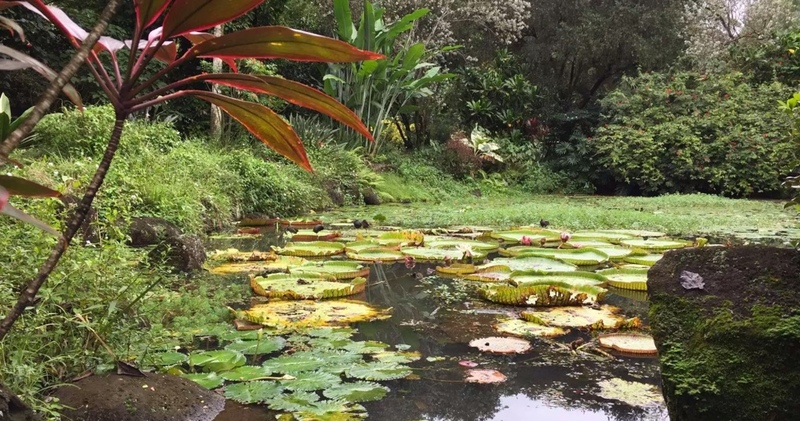 As I was writing this blog post, I got an email from Regular Reader Ramón who took the initiative to write to the Director of the Waimea Arboretum to ask about explosive plants. "[I'm searching in the Waimea Arboretum for] .. a tree that has ballistic seed dispersal and we trying to find more information about it. [Dr. Russell] will give an answer next week. But, the intention is to find the information before searching online. Do you have more information about what tree is this in the valley? Maybe is not a tree but a plant." And the Director wrote back! "What Dr. Russell mentioned could be these trees: The rubber tree Hevea brasilliensis or the Sandbox tree – Hura crepitans. There may be others but these are what came to my mind. Thanks, Josie." This makes it pretty clear that it could be one of these two plants. Both have explosive seed dispersal mechanisms. 4. Ask questions of people who know. Ramón's method of simply writing to someone who knows can be a real life-saver when dealing with complex research questions. Google is great, but so are people--especially experts who are right there and can check the ground truth for you. After all this, my bet is on the Sandbox tree as the source of the overhead crack, whiz, and zing. I forgot to mention that I also remember standing near a large, very dangerous-looking spiny tree when the seed pod flew overhead. It's possible that I was looking at the Sandbox tree while the rubber plant seed exploded behind me, but it seems unlikely.